Just a few short months ago, recreational pot was illegal and the thought of it ever being otherwise was a fanciful dream for many smokers. But, now that dream is becoming a reality, and marijuana is all over the news as the state grapples how best to handle the voters’ will. Firstly, the government, for its part, is sorting out the hows. There are a total of five different subcommittees that have been assembled under one 24-member task force. Between now and the end of February, this group has a lot of work to do. Among this task force are pot growers, employers, law enforcement, and government officials. The sub-groups of the task force include a social-issues group that will work through concerns like whether or not the state should limit pot’s potency, how to label and advertise, and what can be done to keep marijuana from young people. Another group is the Regulatory Framework group who will discuss all of the regulations that need to be put in place for the new laws to work. In all, the five subgroups have a list about 100-items long to work through in a relatively short time. Their findings will be submitted to the Governor through the task force. For their part, the citizens are reveling in the new-found freedom. Just one example is The Hive Co-op in Lafayette. This café is a coffee and tea shop by day and a cannabis, coffee and tea shop by night. The shop doesn’t sell cannabis, but does market itself as a “bring your own cannabis” business. They have a one ounce limit and a $5 cover charge. Businesses like this are popping up and existing businesses are making their pot-friendly ways known as smokers look for somewhere to feel welcome while enjoying their marijuana outside of the home. Finally, researchers have a stake in the new legal changes too. Colorado and Washington will both serve as grounds for various studies and information gathering as other states, policy makers, and criminal justice experts are all curious to see how the laws pan out. Some researchers, according to Denver Post, are specifically focused on marijuana and its relation to alcohol. Experts are interested in how the legalization of marijuana might affect alcohol use. Will people start choosing marijuana over alcohol, or will the rates of both remain constant? Could marijuana legalization reduce the crime rate associated with offenses done while under the influence of alcohol? If people trade out their booze for pot, there’s a good chance that there will be fewer bar fights and possibly even less incidents of domestic assaults. “The social costs of marijuana use really pale in comparison to what we see as the social costs of heavy alcohol consumption,” said Beau Kilmer of the RAND Drug Policy Research Center. 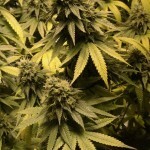 In general, Colorado is much abuzz over the new marijuana laws. Not all marijuana offenses have been wiped off the books. You can still be arrested and charged with dealing pot or possessing large quantities. If you are charged with a marijuana offense, or any drug offense, we may be able to help. Contact our offices today to discuss your case and the legal options you have available to you. A “bring your own pot” coffeeshop? Whatever…. I think most people just want to legally buy and take it home to enjoy in the comfort of their own home. Just package it up like tobacco and quit analyzing it to death.